Clearly iStamp: A little fall treat for my Sunday School kids! Witnessing Wednesday is going to be filled with witnessing ideas for kids and adults, ideas for ministry, and church projects that I have done for my Sunday School kids! 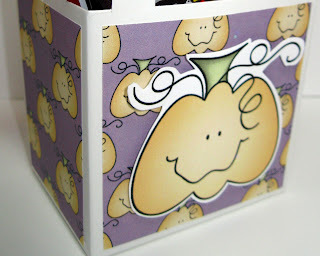 I used Lisa's Punkin Set....it is just adorable and came with matching paper....it was just too much for me to resist! 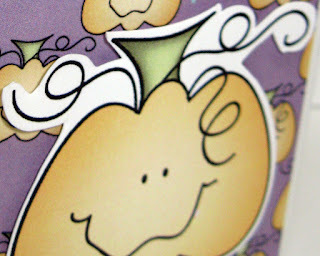 See Lisa's Punkin set in the store here! Here is a closeup of my trimmed up punkin! It really went pretty quick and easy! Next, I started with a little box that I found at the dollar store....but making your own would be easy enough! They just popped up and I glued my digi paper to them :-) I printed a complete 8.5x11 sheet of paper and then trimmed it to size. If you were to print it on cardstock, you could make a quick little box out of it in a flash....especially if you have some sort of cutting machine! Next, I added a little pop up tape (poppin dots, what ever you have to make it dimensional) to attach my punkin to the front of my box. I found the orange cellophane at Hobby Lobby! I wrapped some candy corn in to the cellophane and tied it with a black and white piece of bakers twine. I added some more candy in the box and now I am ready for our fall party at church! I'm so excited to have them done this early! I have 12 little boxes already sitting and ready to go! These would also be a sweet little treat to make up for the elderly that are shut in or in nursing homes in your church! I better make a few more! 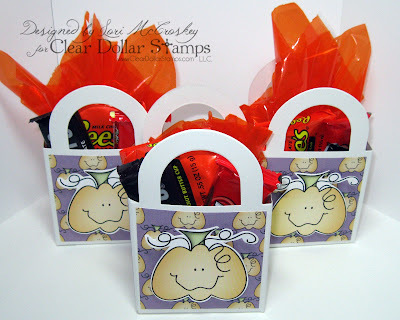 I hope you will enjoy making these little treat boxes! Check back on Wednesdays for more ministry ideas! Hope your day is filled with crafting and blessings galore! These are really cute...they are going to just love them! I am so in love with these baskets Lori. They are gorgeous. 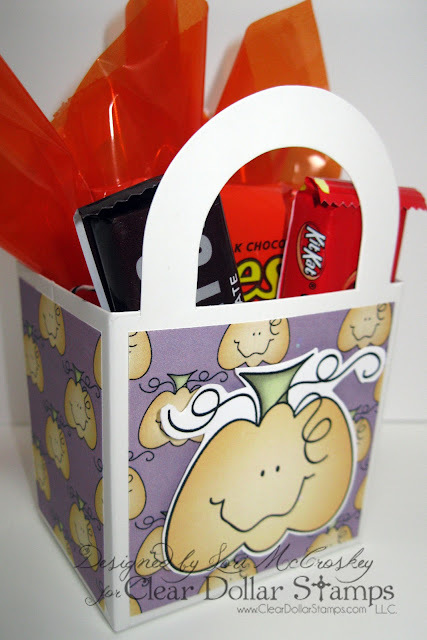 I so love the printed papers and love how you made the pumpkin so large and the fussy cutting on it is amazing. Wishing that I had a colour printer too. Thanks for sharing this, it is such a great treat for the kiddies.